Home :: Image galleries :: The Labor Movement and Organizations :: Strikes! Mourners gather in an unidentified church to pay respect to victims of the Italian Hall disaster. 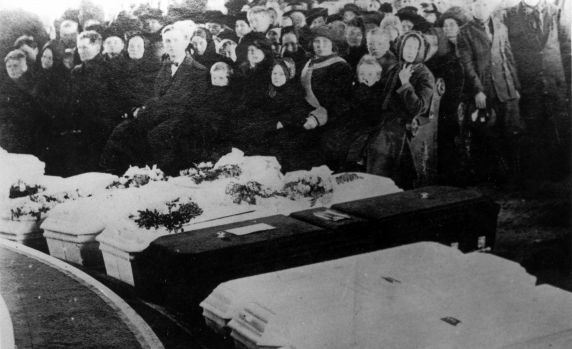 The black coffins, seen at front and center, were used to carry the bodies of men, the white coffins were used for women and the smallest white coffins were reserved for the children.